A quick update for Ubuntu 11.10 Oneiric Ocelot users: the latest LibreOffice 3.4.5 is available in its official PPA. The new version comes with many bug fixes, including a fix for horizontal scrollbars with KDE oxygen style and many fixed crashes. The changelog also mentions that Impress 3D transitions should work again, but they didn't work in my test (install the "libreoffice-ogltrans" package to try them). 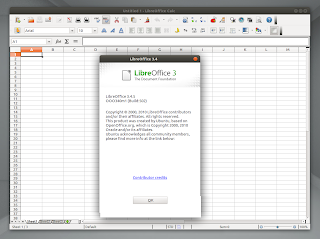 You can read the official LibreOffice 3.4.5 release announcement, here.